Lifelike Great Horned Owl is made of a sturdy, weather-resistant plastic. 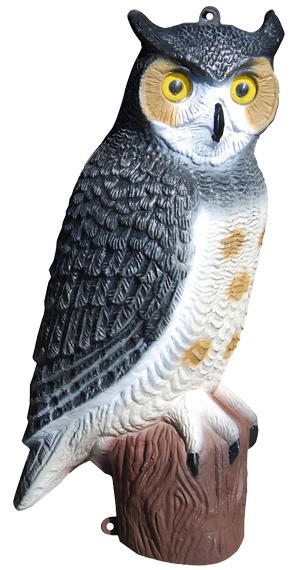 Most practical for bird control in gardens, on patios, and areas where pest birds roost, these owl decoys are helpful in scaring birds and other small pests. Hollow body with loop for hanging. Available in 17" tall model, or 21" tall model.